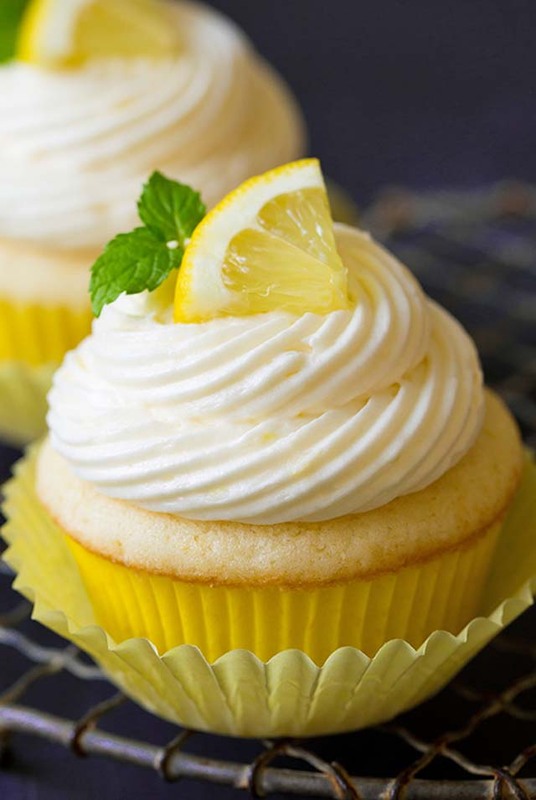 I post a lot of cupcake recipes, have you noticed? Why? Because it means I get to eat more cupcakes :). Really I just love cupcakes and they’re just so photogenic, unlike many other things I take pictures of. They’re fun to dress up and the flavor options are endless. 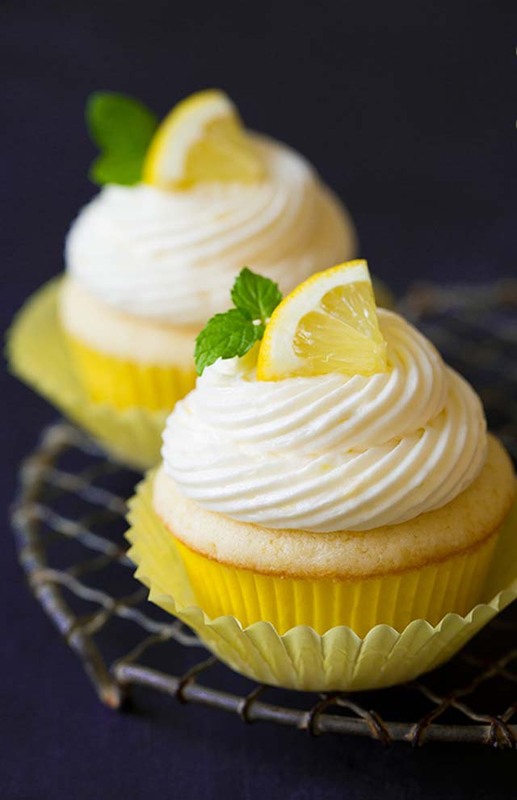 Today I’m sticking with a classic, Lemon Cupcakes with Lemon Buttercream Frosting. These are a classic done right. What do I love about these cupcakes? 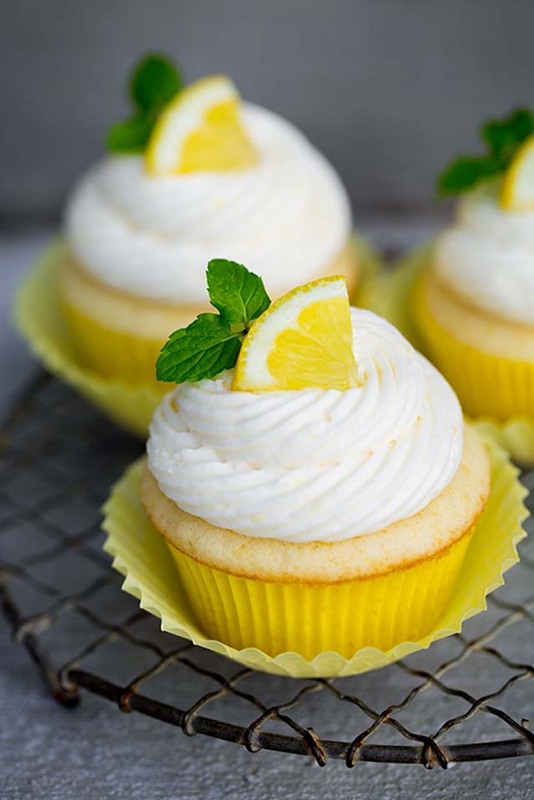 They are loaded with an abundance of lemon flavor (if we are going to call them lemon cupcakes, they better taste like lemon, right? Not just a hint here and there), they have a soft texture and the frosting on top is to die for! 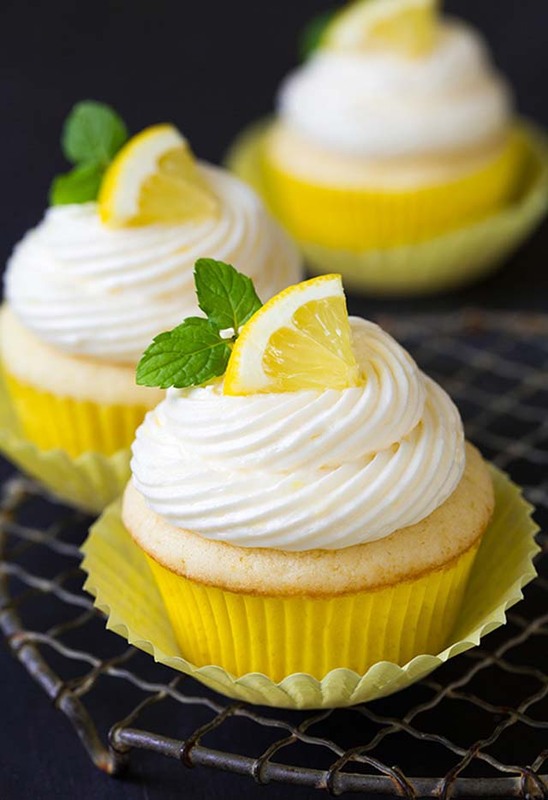 These are summers dream cupcakes right here. celebration alone, right? I always think the weekend counts as a reason to celebrate with cupcakes too. In a food processor, pulse together 3/4 cup + 2 Tbsp granulated sugar with lemon zest until finely ground, about 1 minute. In the bowl of an electric stand mixer fitted with the paddle attachment, whip together butter with lemon sugar mixture until pale and fluffy (if you don't have the paddle attachment that constantly scrapes bowl, then occasionally throughout entire mixing process, stop mixer and scrape down sides and bottom of bowl). Mix in egg, then mix in egg whites one at a time, adding in vanilla with second egg white. Divide batter among 12 paper lined muffin cups. Bake in preheated oven until toothpick inserted into center of cupcake comes out clean, about 18 - 20 minutes. Remove from oven and allow to cool several minutes in muffin tin, then transfer to a wire rack to cool slightly. Meanwhile prepare simple syrup. cream, vanilla extract and lemon extract. Add remaining 1 1/2 cups powdered sugar, then whip mixture until very fluffy, about 4 - 5 minutes longer. Pipe or spread frosting over cupcakes. 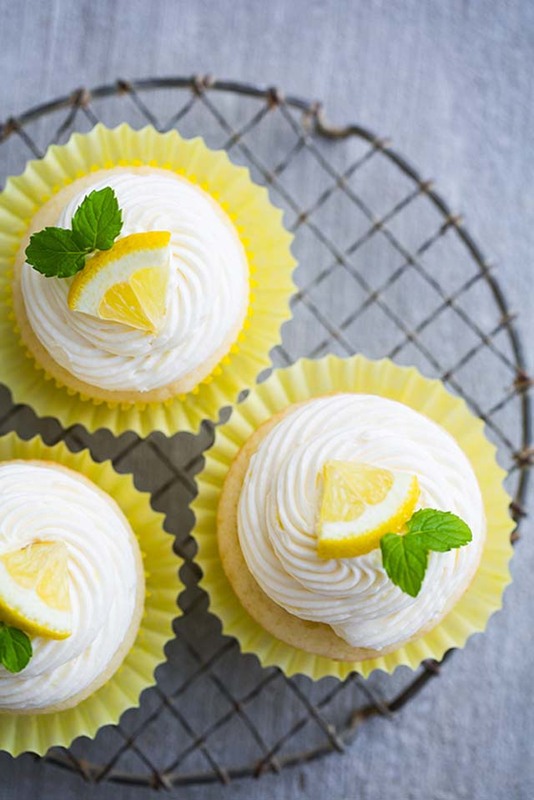 Decorate with lemon slices or lemon drop candies and mint leaves if desired. Store in an airtight container.